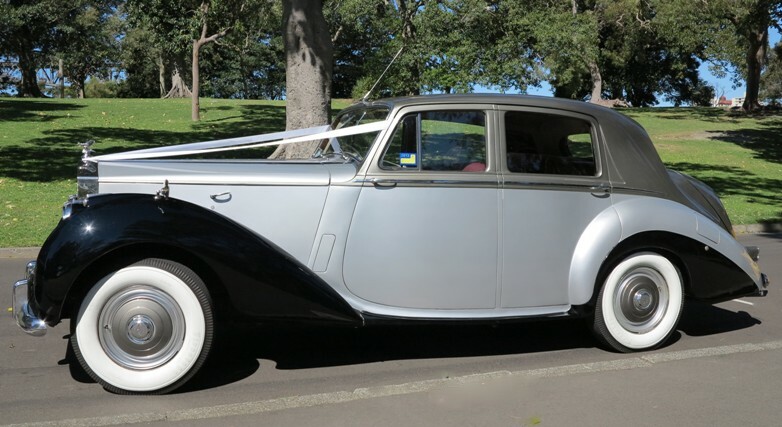 This page is dedicated to one of our feature Bridal cars, the 1955 Silver Dawn Rolls Royce. 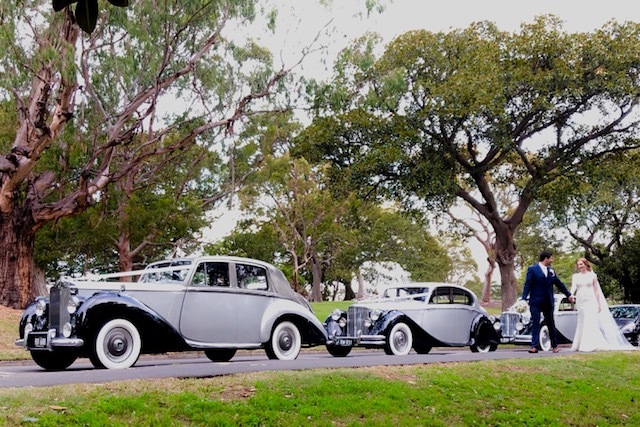 This Particular Rolls Royce is unique, being the only Silver Dawn Rolls Royce Wedding Car in Sydney (long boot) colour code of its kind. 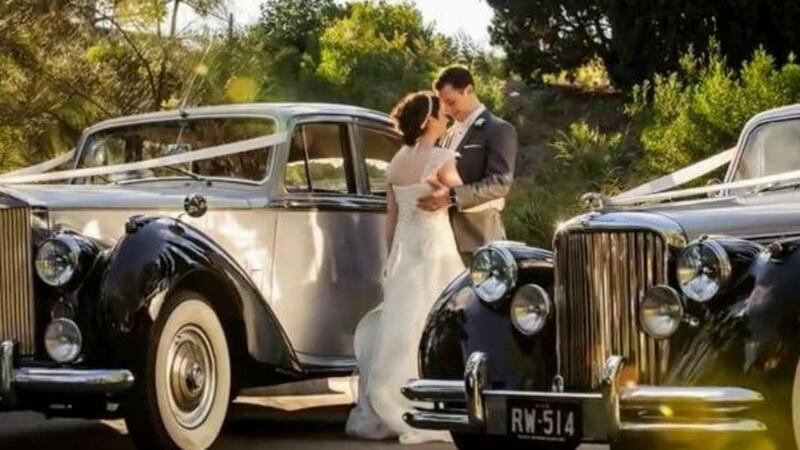 If you look at the boot of this car it extrudes the car and gives the Rolls Royce a much larger presence than the short boot Rolls Royce and Bentleys Wedding cars that are available. 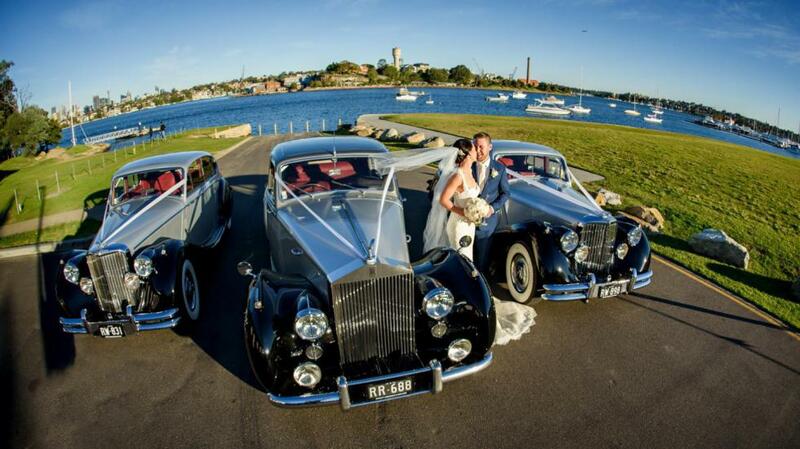 If you compare, our Rolls Royce wedding cars, she surely is way more elegant and Grand. 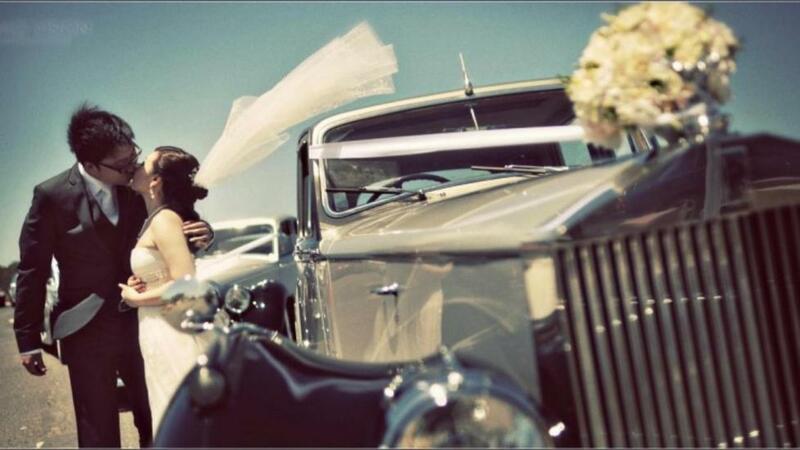 And thats what you want on your Wedding day, the Grandest of them all. 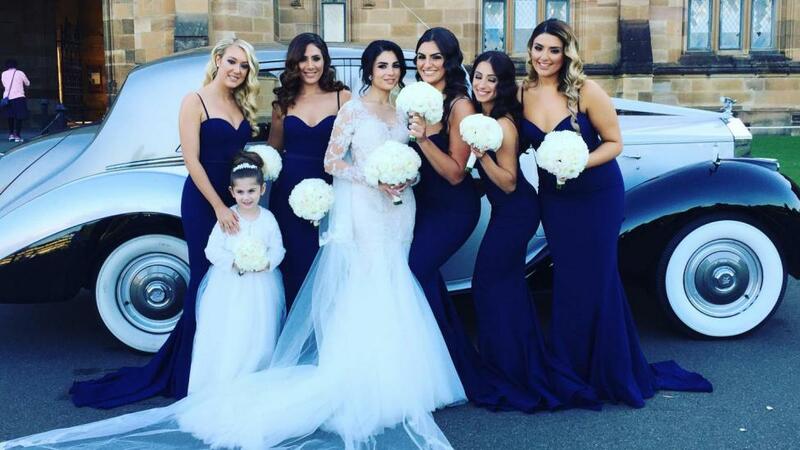 On this page you will find plenty of photo of our Rolls Royce wedding car in many different photo locations and some fun bridal party shots. 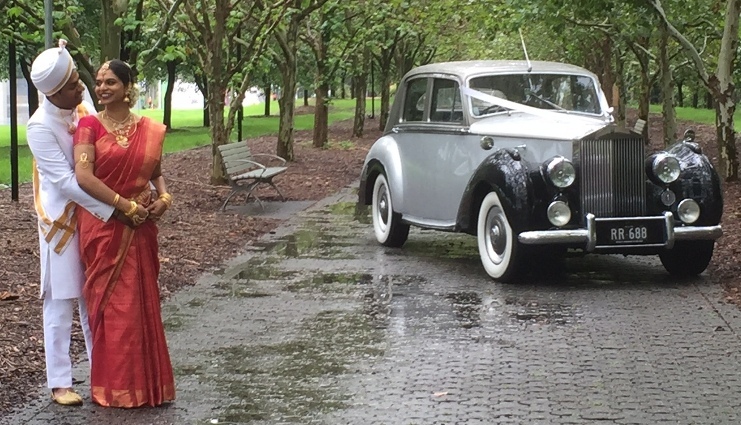 All Wedding Photographers love this car for photo shoots, she is a beautiful Rolls Royce. 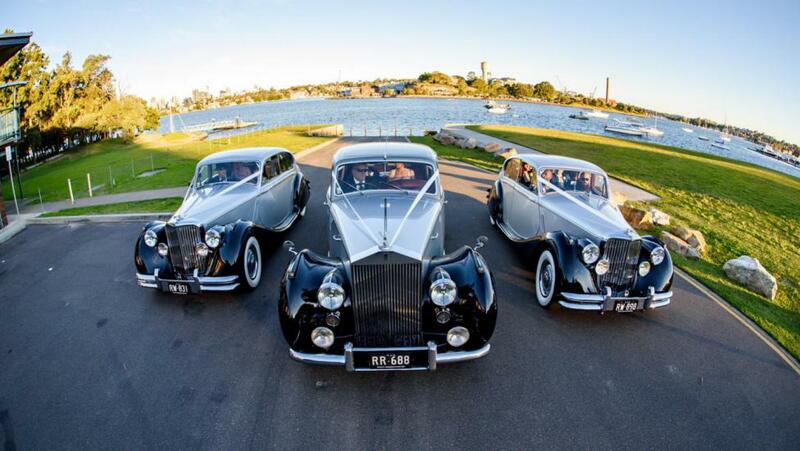 Remember, it is the only Rolls Royce of its kind in Sydney, so best book early. 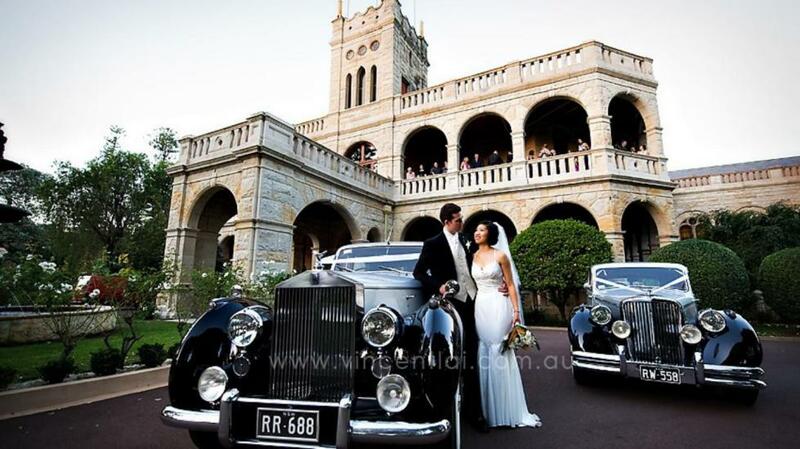 Our Rolls Royce Wedding car with matching Mark 5 Jaguars look beautiful here at Observatory Hill, Sydney. 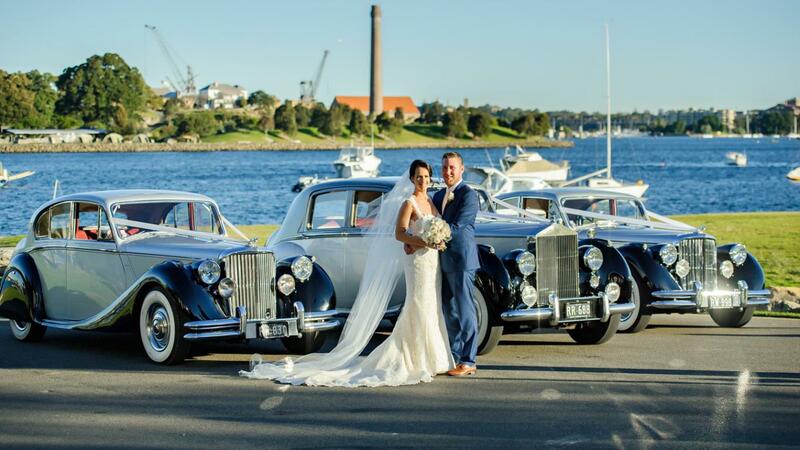 Absolutely georgeous bride and groom, coudn't look happier with their Rolls Royce Wedding car. 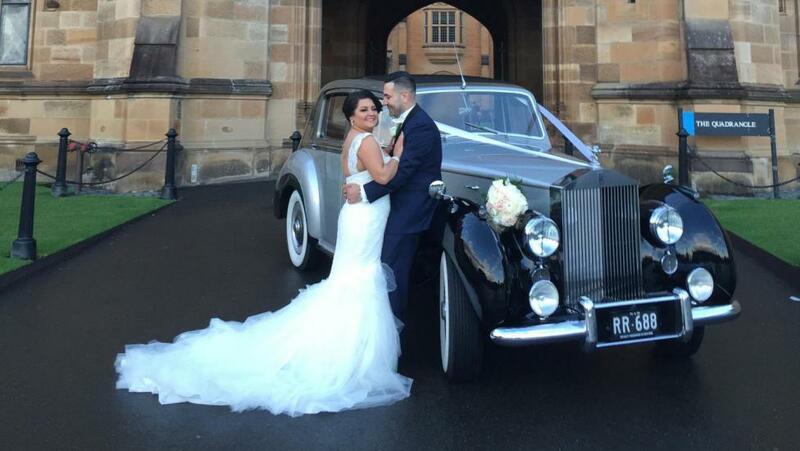 The Rolls Royce with our newly married couple at the Curzon Hall, Sydney. 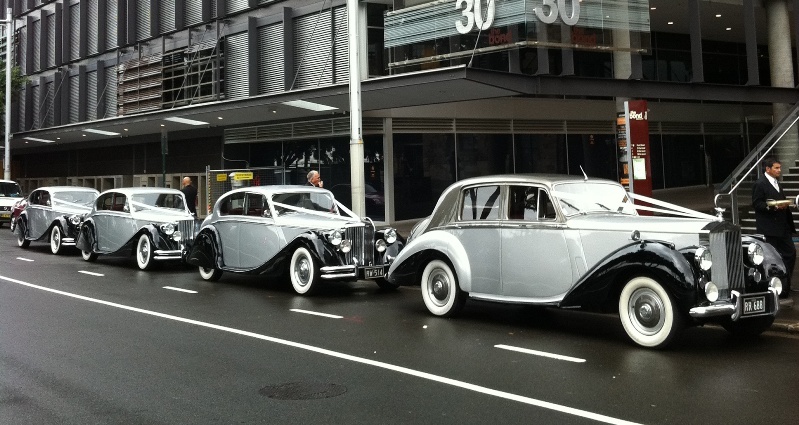 Great combination, hiring the Rolls Royce wedding cars for your bridal entourage here in front of 30 Sussex St Sydney. 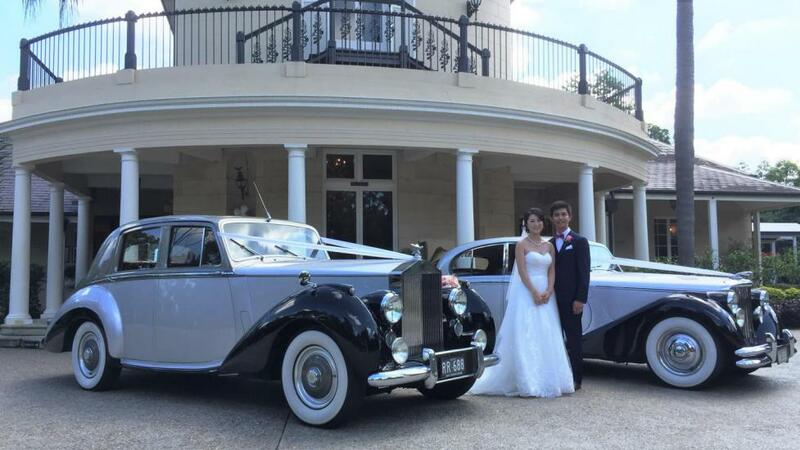 Great couple, great day, here our Rolls Royce wedding car, very popular with all cultures. A Grand Presence of the Silver Dawn Rolls Royce here at Mrs Maquaries Chair. 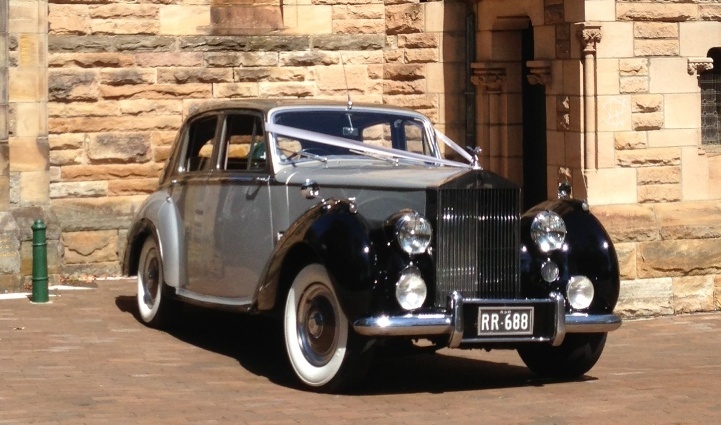 The Rolls Royce looks the part at any church, the wedding cars of your dreams. 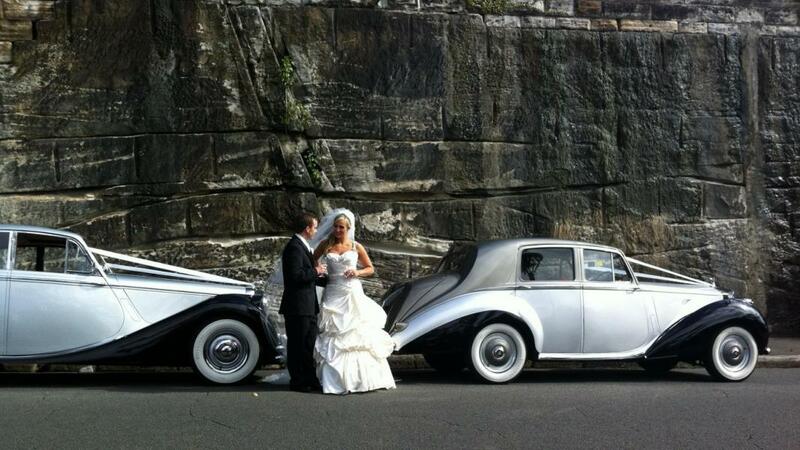 Sydney is full of great places for wedding photos,The Rolls Royce does a great job against the old rockery around Sydney Rocks. 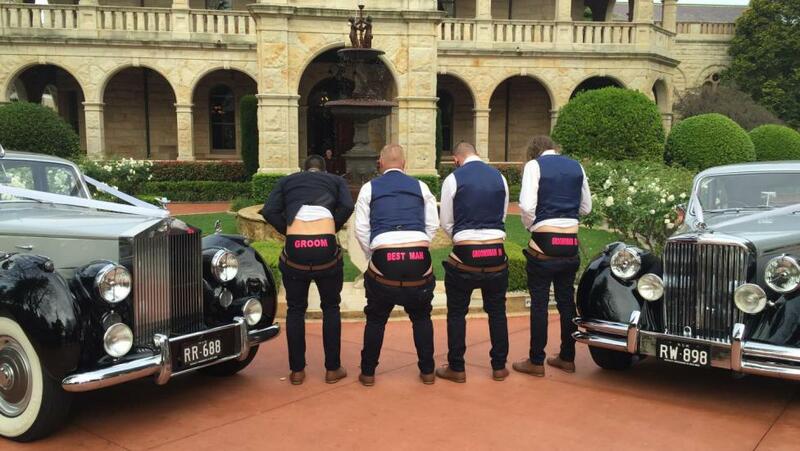 They cant contain themselves, just married or the excitement around the Rolls Royce, lol.